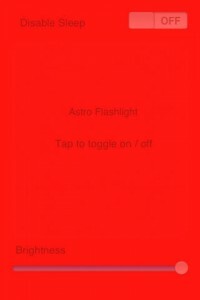 Astronomy Torch is an astronomy flashlight/torch that has been specifically engineered to replace a standard red torch. 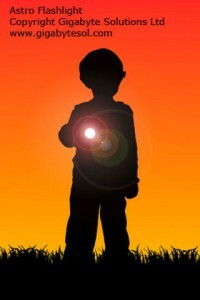 Why carry a sparate flashlight with you on observing sessions when you already have your iPhone/iPod? 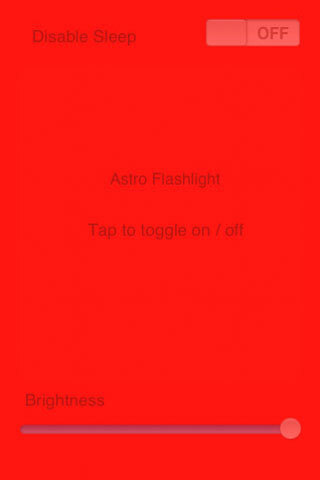 There are other standard torches on the App Store, some of which can be changed to display a red background, but none of them have been designed with the needs of the astronomer in mind. Designed by a keen amateur astronomer to suit the needs of an astronomer. all the above features mean that you can operate the Astronomy Torch, configure it, turn it on and off and prevent it from sleeping your device all without destroying your dark adapted vision. Remember the device unlock screen is white!! It may not look like much, but it does its job perfectly and is a fraction of the price of a red flashlight/red torch.